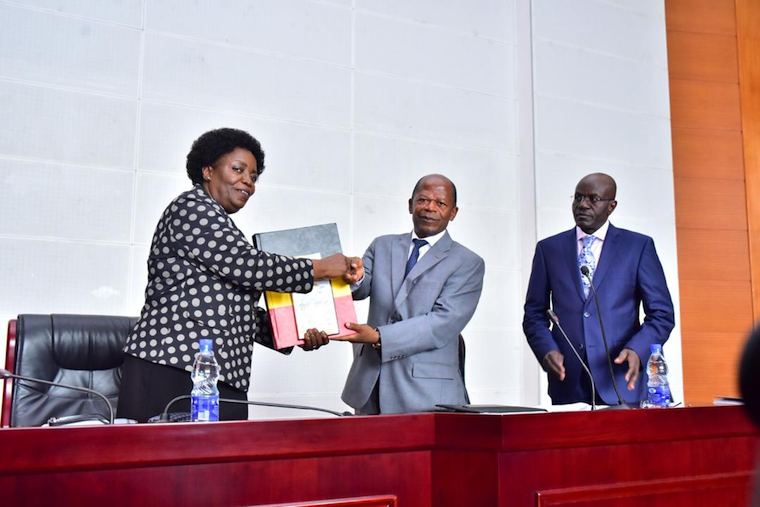 KAMPALA – State Minister for Higher Education, John Chrysostom Muyingo has this morning Thursday, February 28, released the 2018 Uganda Advanced Certificate of Examinations (UACE) results at President’s Office, Kampala. UNEB has withheld results of 91 candidates from 21 centres. Most common forms of breaches have been external assistance, substitution of scripts and smuggling of unauthorised material. On why student terribly failed Biology, UNEB Executive Secretary Dan Odongo there is a serious problem developing in the Biology practical paper. “Candidates do not carry out the dissection of specimens, but proceed to draw crammed drawings,” he says. According to Prof. Mary Okwakol, the UNEB chairperson Results also indicate that there is better performance in 2018, than that of 2017, however entries for science subjects are quite low.